This Roasted Sweet Potato Side Dish is a favorite side dish in our house. It is easy, delicious, and of course a bit reminiscent of my Granny’s sweet potatoes. Without all the oil, butter, and sugar, they are a great healthier option that fits into almost any diet plan! Every holiday meal needed a good sweet potato side dish. My Granny always covered hers in sugar and butter with a bit of cinnamon. However, that can be pretty hard on your diet needs. 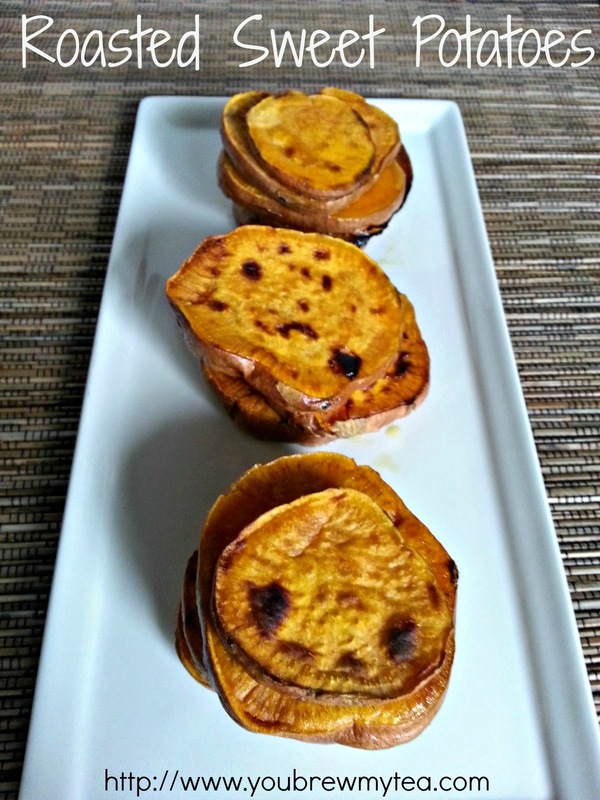 So, I found that just baking sliced sweet potatoes is a great easy and delicious option that is much healthier. Sweet potatoes are full of flavor on their own! Line baking sheet with silicone baking mat or spray with non-stick spray. Clean sweet potatoes, and peel if desired. We usually leave the skin intact. Remove any blemishes or eyes if needed. Place sweet potatoes in a single layer on prepared baking sheet. Sprinkle the tops lightly with salt. Bake at 400 degrees for 15 minutes. 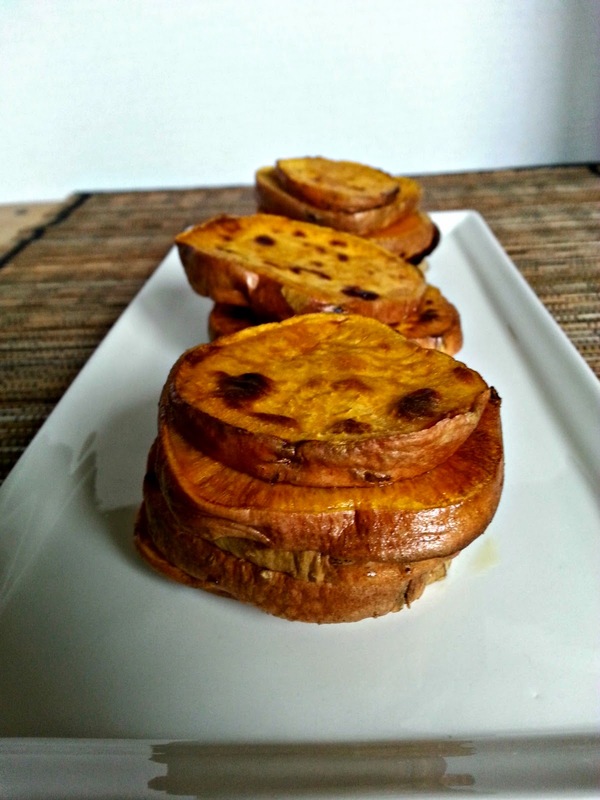 Turn sweet potato medallions over and bake additional 10 minutes. Each serving is approximately 1/2 sweet potato. As you can see, this is a great easy to make a side dish that is delicious and healthy. Sweet Potatoes are high in beta-carotene and a great source of protein and fiber. They easily fit into your meal plan and an affordable and fast option for a simple addition to any healthy meal.